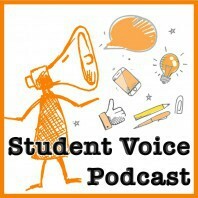 This episode features Rainbow Chen, a student at Winooski High School in Vermont. Rainbow Chen is a 16-year old rising senior at Winooski High School, located in the small 1.1 square mile city of Winooski, Vermont. On top of being a passionate student, she sits on many leadership positions ranging from local to state level. Locally, she works with the Nellie Mae Foundation and her school board. Statewide, she is one of only two student representatives on the State Board of Education. Rainbow strives to fight for an education that her generation can flourish and succeed in, heavily inspired by the labels often stamped on her school: low-income, low test-score, most diverse school in the state, and “failing” school. Outside of her leadership occupations, she actively participates in the fine arts by playing double bass in the Vermont Youth Orchestra and works at her family’s small Chinese restaurant.